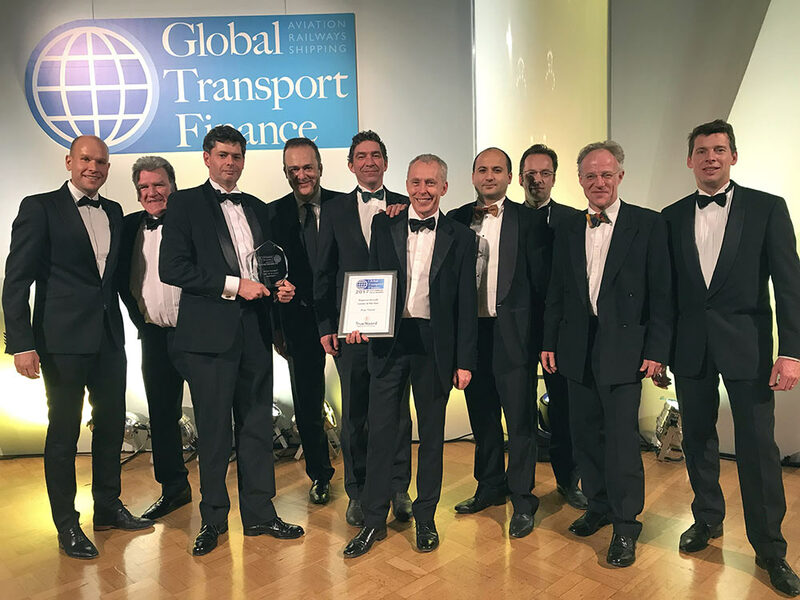 TrueNoord, the regional aircraft lessor, is proud to announce that it has received the Regional Aircraft Lessor of the Year Award 2017 at this year’s Global Transport Finance Annual Awards. TrueNoord were presented with the award on the 9th of January 2018 at the historic Merchant Taylors Hall in London in recognition of their performance throughout the year. ‘Regional Aircraft Lessor of the Year’ is a new award for 2017 which recognises and rewards lessors at the forefront of the regional aviation sector. TrueNoord has expanded its capital base in 2017 with new investment from private equity firms, BlackRock and Aberdeen Asset Management, who have co-invested in its portfolio of leased aircraft assets alongside Bregal Freshstream. This investment has resulted in the rapid expansion of its portfolio of regional aircraft under lease as part of its on-going global development strategy. Anne-Bart Tieleman, CEO of TrueNoord, comments, “We are delighted to receive the Regional Aircraft Lessor of the Year Award 2017. We are pleased that for the first time an award recognises the unique characteristics and requirements of the regional aircraft market. As specialists in the sector we are very proud to welcome both BlackRock and Aberdeen Asset Management to the team.